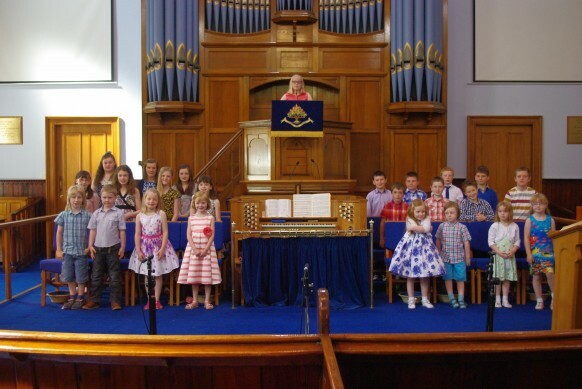 The provision of Sunday School is part of our response to our baptismal vows where we promise to bring up our children in the worship of the church, so that they may come to know Jesus Christ as Lord and Saviour. All children and young people from Primary 1 up to Year 10 are very welcome to Sunday School. We meet from 10.15 am (sharp) to 11.15 am each Sunday from September to June. We have a collection each week and on the 3rd Sunday of each month, we take a special collection for Pringle Home Orphanage in Jamaica. We as teachers see parents as a vital part of our team by showing an interest in what your child has been taught. Above all, take time to read from the Bible and pray with and for your children. We want to support parents as they lovingly seek to make Christ known to their children, so if we can help in any way please do not hesitate to come and speak to us at any time.